When you are in your web browser and find an article that you would like to add to your library, there are multiple ways of doing this. 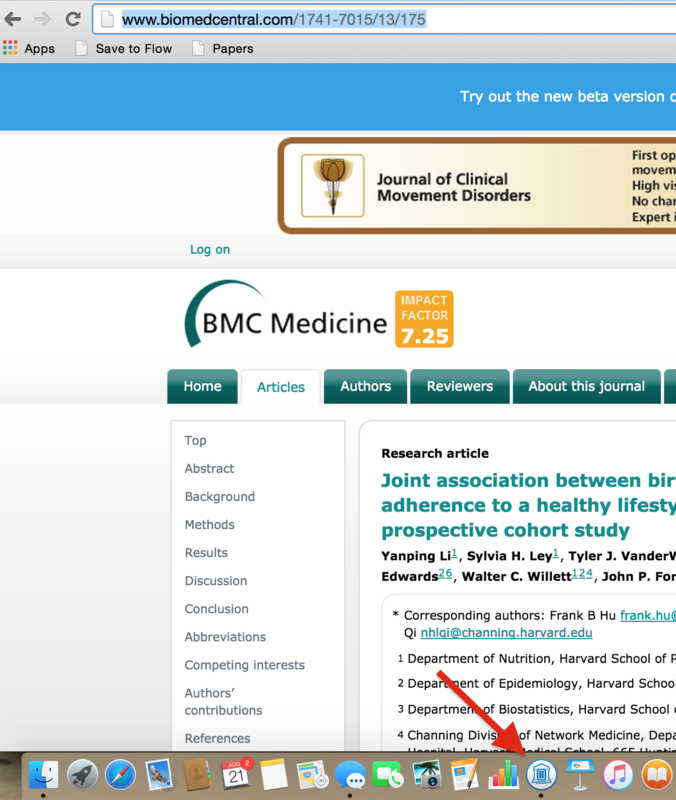 You can either add via our bookmarklet or you can drag and drop the URL to the article or the PDF link (of an article you have access to) to the Papers icon at the bottom of your screen. 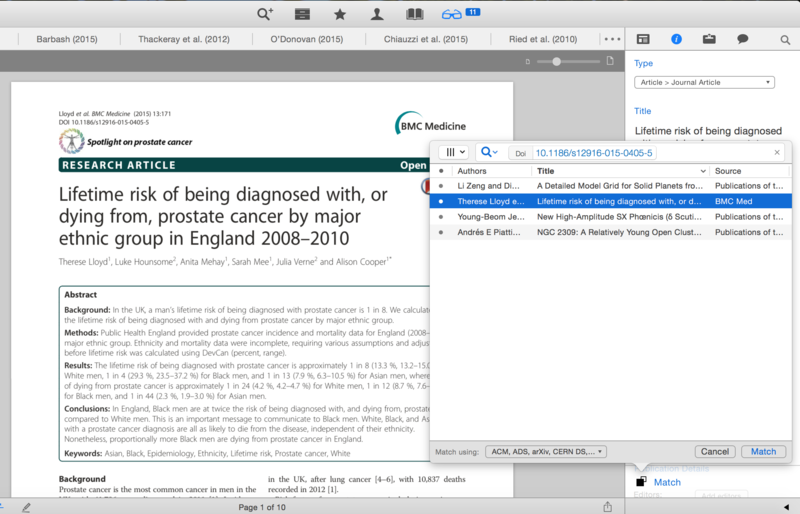 To import with a URL, highlight the URL of the article page and drag to the Papers icon on your desktop. This will then open the article in the Reader view of your Papers application and automatically download the PDF if you have access to it. If not, all metatdata will still be stored in your library. 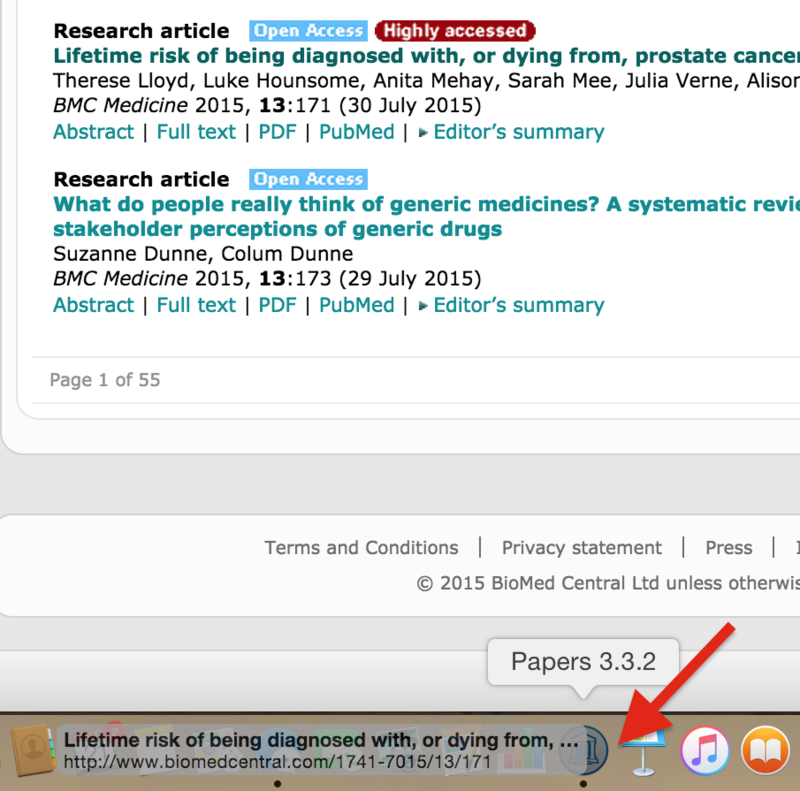 To import a PDF link, simply drag the PDF link to the Papers icon. This will open in the Reader view. 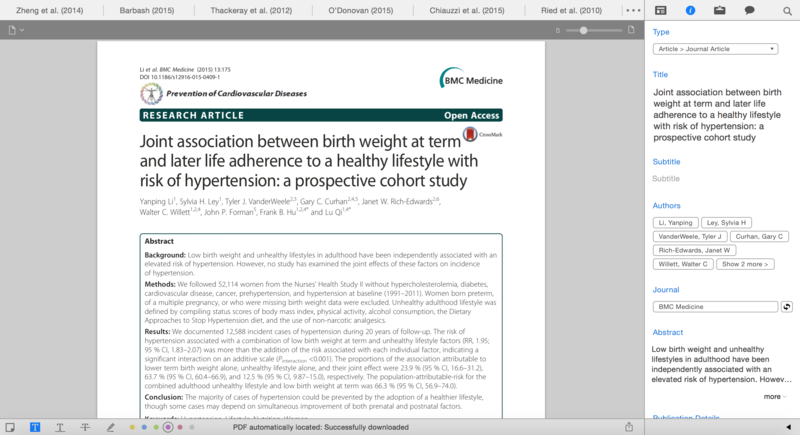 Not every PDF has its metadata linked to it so make sure to match the article to be sure!